Get in On the ‘Avengers: Infinity War’ Craze! Grab These Plushies at Koalakrane Machines! HomeGet in On the ‘Avengers: Infinity War’ Craze! Grab These Plushies at Koalakrane Machines! No spoilers, just pure cuddliness from here on! What if we tell you that we can cure your “Avengers: Infinity War” fever with our new set of plush toy prizes up for grabs? You guessed it right—now you can get the chance to WIN your favourite Marvel characters in one Koalakrane machine! We’re talking about the Black Panther, Star-Lord, Baby Groot, aside from your favourite Avengers, Iron Man, Captain America, Black Widow, Hulk, and Thor! These licensed soft Marvel plush toys are available in Small, Medium, and Large sizes, so you can have a variety to choose from! 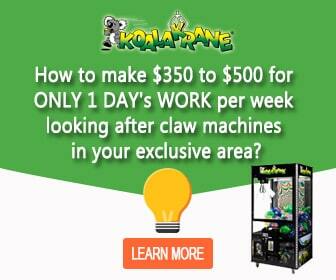 Head on to your nearest Koalakrane toy crane machines. You don’t have to win a fight against Thanos; you just got to play and have fun beating the Claw!